The MAD DASH is a 6km hill run from the Harbour to the top of the South Sutor and back. 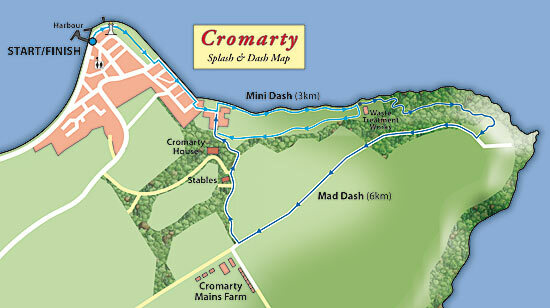 It takes place on mixed terrain including tarmac roads and coastal/wooded pathways (extremely muddy!). The climb from sea level to the summit is steep (120m climb) and along a single track path. Otherwise the route is generally flat or downhill. 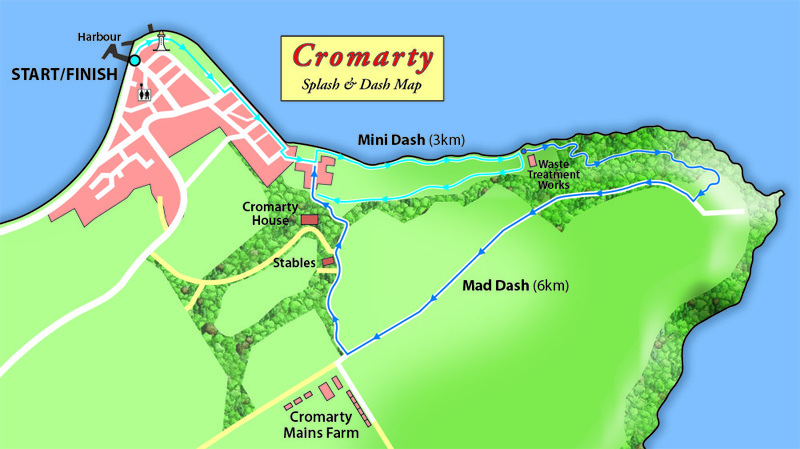 The MINI DASH is a 3km fun run from the Harbour, around the Reeds Loop and back. It's generally flat and takes place on a mix of tarmac roads and coastal path (can be muddy!). Both routes are marshalled by volunteers wearing hi-viz vests and with radios to alert base should anyone get into difficulty. NB. In the case of severe weather or wintry conditions considered hazardous to participants, routes may be adapted or either or both Dashes cancelled.